Its Deeply Hydrating and Calming. It also helps in lightening and dark spot fading and promotes healthy skin. It is completely Oil and Silicon Free. For Oily, combination skin use it as a Moisturiser. Use as a moisturiser after washing your face or after Mask. For dry skin use it as a serum and apply your regular moisturiser. It comes in a brown thick glass bottle with pump packaging. The pump is of good quality. Since this white lotus Moisturizer contains vitamin B3, allantoin and hyaluronic acid it is best to store in glass bottles. So you have to handle it with care while traveling. How is the color, formulation and consistency of Suganda white lotus moisturiser? The moisturizer is white in color and when tried to spread, it looks and feels like a watery gel. The consistency and formulation are very unique. It’s neither thick nor runny. It’s not a cream neither a gel. Somewhere in between. How is it? Does it hydrate the skin well? To be honest my first expression was WOW. I was totally impressed during my first usage itself. 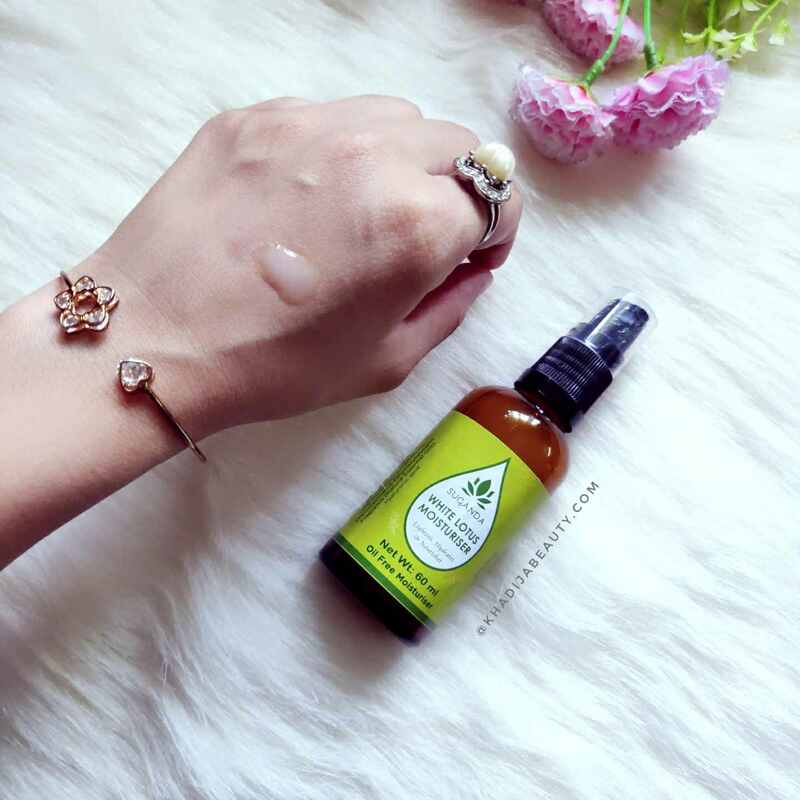 This suganda white lotus moisturiser hydrates my skin really well and gives a matte feel to the skin. It gets absorbed into my skin within seconds and adds a very subtle glow every time I have it on my face especially on my nose tip. No, it doesn’t feel oily but it looks dewy. In fact my skin feels completely matte and nourished. As I said, I have oily skin so I include this as a moisturizer in my both morning & night-time skincare routine. It does not make my face sticky or oily up to 2 to 3 hours too. After that my T-zone becomes a bit oily but it doesn’t feel greasy at all. 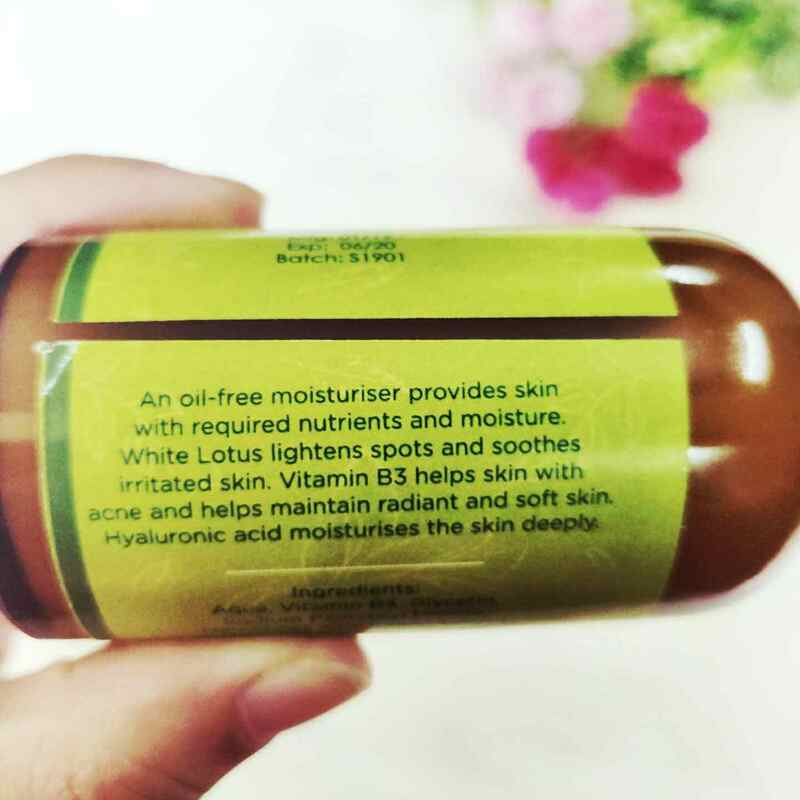 This can be used as a moisturizer by oily and normal. However, if you have even a little dry skin then you can use this only as a hydrating serum. You will feel the need to follow it up with a moisturizer. I had a dry patch at one corner of my mouth and it didn’t hydrate that part alone. I had to use moisturizer upon that so keep that area hydrated. 2 pumps of this moisturizer are enough for oily skin people during the day **I use 2 pumps* 1 pump = pea size. Sometimes when my skin is very oily, I use just one pump. Every time I apply this moisturizer, my skin feels super soft, supple, looks dewy and I love my overall skin texture too. White lotus has many health and beauty benefits. 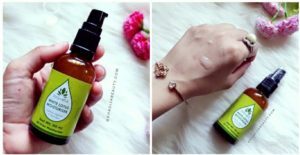 It is rich in antioxidants and deeply hydrates the skin, improves skin elasticity and when this moisturizer is used regularly for a longer period of time, it claims to work on brown spots. 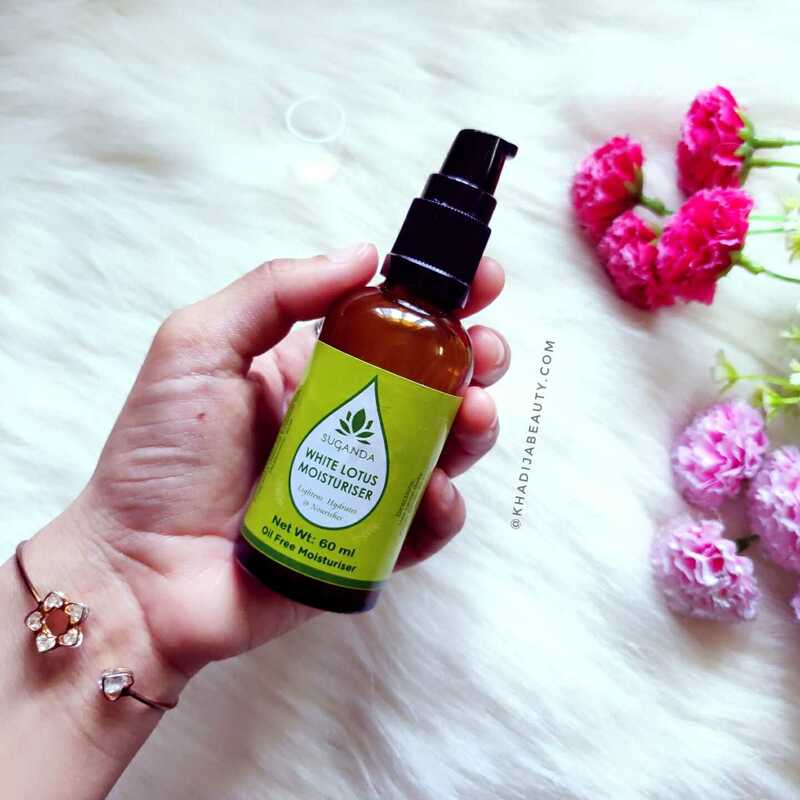 It also contains Vitamin B3 (Niacinamide) which is again rich in anti-oxidants, reduces the formation of acne and also helps with degradation of collagen which means delayed wrinkles. Contains hyaluronic acid which is known to retain the hydration within the skin. One bottle will last upto 2 months for me. If you’re looking for a deeply hydrating moisturizer which doesn’t make the face sticky at all then I would highly recommend you to try this. But it can be used as a moisturizer only by normal to oily to combination skin. It contains a higher concentration of Active ingredients which our skin would love. So dry skin people can include this in their skincare routine as a serum. I totally loved this and I think I will be repurchasing it once it gets over. Have you tried this? If yes then let me know your experience on this. If no, then are you planning to try this?